As Managing Shareholder and founder of MDK Law, Attorney Mark Kimball has been serving Seattle and Eastside clients for more than thirty five years. 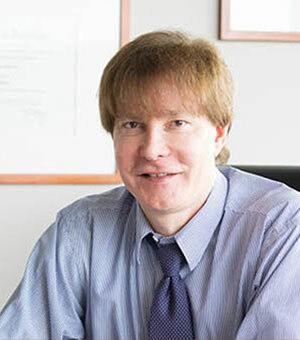 His practice is concentrated on corporate and real estate transactions, commercial litigation, business operations, and state, federal, and international tax law, and he is licensed to practice in Washington, New York and Texas, as well as the United States Tax Court and the United States Supreme court. Specific tax work includes advising clients on a variety of business operation matters, structuring tax-advantaged transactions, and representing clients before the United States Internal Revenue Service and OFAC, the Washington Board of Tax Appeals, and other taxing authorities including state-level authorities in New York and California. Tax savings for clients routinely exceed $200,000. Mark holds a post-doctoral LL.M. degree in Tax Law (in addition to his other post-doctoral work). Although most of Mark’s work involves complex business transactions and tax planning, nationally and internationally, Mark Kimball also manages all litigation and appellate work. High value litigation and appellate matters typically involve representation by both Mark Kimball and James Ware. 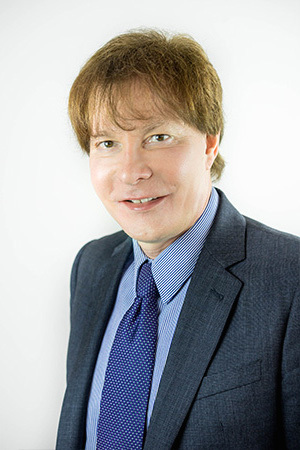 Mark serves as a consultant to other lawyers and firms on corporate, LLC, and tax matters, and has been retained as an expert witness for court cases by prominent Seattle firms. Representative expert witness cases have included opinions concerning operational disputes for corporations, and limited liability companies; cases in which Mark has testified also include offering expert opinions on law firm governance, with successful outcomes for these parties. Mark assists leading small to large and high-growth companies in a variety of industries including those in the aerospace, computer hardware manufacturing, software creation and development, and the restaurant, liquor, real estate and property management industries. Mark Kimball has many law firms and attorneys as clients in business and contract matters, and he has also represented political campaign organizations and companies doing business internationally. In addition to his law degree, Mark received a post-doctoral L.L.M. degree in Taxation from the University of Washington, and completed most academic work toward a Ph.D. in Tax Policy Studies. Clients are local, national and international. Mark’s education and background includes representation in disputes involving protection of clients involving international substantive and procedural law. Mark earned his second post-doctoral L.L.M. degree in Transnational Commercial Practice, and his International Law and Taxation presence continues to grow. He is a frequent speaker and lecturer, and has served on the faculties of more than 100 legal education, research, and academic conferences in the United States, Europe, and Latin America, including Cuba. Recent conferences include service as a speaker and expert on panels broadcast nationally to attorneys throughout the United States. Recognized by the legal and business communities for outstanding legal services, Mark has received numerous awards and accolades, including Martindale-Hubbell’s highest-available rating (AV Preeminent/5.0); a 10.0 rating on Avvo; and recognition in numerous publications including Washington CEO Magazine, Seattle Met magazine, the Seattle Times, Top Ten Attorneys (by practice area), Distinguished Lawyers, and the Wall Street Journal. Mark was recently invited to join, and has accepted, appointment as a Congress Fellow in the Austrian-based non-profit Center for International Legal Studies, where Mark has presented research on predicting political behavior in foreign settings using the well-established modelling of Historical Institutionalism. These predictors have value to US-based businesses seeking to establish or defend a foreign presence, and the same modelling is also informative about potential future foreign tax law and tax law changes. In addition, Mark recently received the most selective award accorded to attorneys in the United States by any rating or review process: Martindale-Hubbell’s Client Championship Award, which is limited to less than One Percent of attorneys, and unlike other rating services is based on an average required perfect 5.0 peer review by prominent attorneys and judges along with established and verified clients. Mark hired, mentored and trained the firm’s younger attorneys, three of whom have received awards. An avid traveler when he isn’t practicing law, Mark enjoys teaching American corporate law on a typically annual basis at European Universities involved in the E.U.’s ERASMUS program. Favorite exploration sites include France, other European countries, including professional and academic work in Austria and the European Union, and the Middle East, including Jordan and Lebanon. Mark also enjoys frequent travel to Latin America, including Chile, Brazil and Cuba, with established professional, academic and legal relationships in Havana. Mark has also practiced Pro Hac Vice in California and Pennsylvania. Mark has served on the faculties of Continuing Legal Education (CLE) events and has presented at Academic Conferences locally and nationally, including Austria and Cuba. Recent events and conferences, and upcoming events at which Mark has served or will serve on faculty or which involve the presentation of academic research, are listed below. Publications authored or to which he contributed are also identified, along with the publisher’s information, if applicable. National Business Institute CLE Course – 2018 Keeping Up With TRID Issues: Ensuring they Don’t Hinder Real Estate Transactions. Conference Paper Presentation: “Analysis of Legal-Philosophical Referents in the Study of International Commercial Policy Adoption”, VII Jornada Internacional de Derecho de Contratos. Havana, Cuba, 2008. Sponsor: Union Nacional de Juristas de Cuba, Havana, Cuba. Faculty, “Helping Your Client Select the Best Entity Option”. Seattle, 2008.Sponsor: National Business Institute. Publication/Publisher: NBI, Eau Claire, Wisconsin. Faculty, “LLC Trends and Developments.” Seattle, 2008. Sponsor:NBI, Eau Claire, Wisconsin. Faculty, “Buying and Selling the Mom and Pop Business.” Seattle, 2007, NBI Eau Claire, Wisconsin. Faculty, “Fully Utilizing the Advantages of Limited Liability Companies in Washington”. Seattle, 2007, NBI, Eau Claire, Wisconsin. Faculty, “Legal and Tax Aspects of Investing in Real Estate.” Seattle, 2007, NBI, Eau Claire, Wisconsin. Faculty, “Mastering Mergers and Acquisitions.” Seattle, 2007, NBI, Eau Claire, Wisconsin. Faculty, “Essential Skills for Drafting LLC Agreements.” Seattle, 2007, NBI, EauClaire, Wisconsin. Faculty, “Helping Your Client Select the Best Entity Option.” Seattle, 2007, NBI, Eau Claire, Wisconsin. Faculty, “LLCs: From Formation to Special Uses.” Seattle, 2007, NBI, Eau Claire, Wisconsin. Presentation of Research: “Comparative Analysis of Tax Policy Legal Referents: A Proposal on the Relevance of Institutionalism. “Midwest Political Science Association Annual Conference. Chicago, 2007.Sponsor: Midwest Political Science Association, University of Indiana. Faculty, “Advanced LLC Issues”. Seattle, 2007. NBI, Eau Claire, Wisconsin. Faculty, “Fully Utilizing the S-Corporation”. Seattle, 2006, NBI, Eau Claire, Wisconsin. Presentation of Research: “Legal-Philosophical Referents and Rational Choice Analysis in International Tax Policy Adoption: A Proposal on the Relevance of Historical Institutionalism in Comparative Case Analysis.” Conference on Salzburg, Austria, October 2006. Sponsor: Center for International Legal Studies, Salzburg. Presentation of Research: “Kuhn’s Paradigm and the Relevance of Perception and Meaning in the Processes of Change and Policy Adoption”. Conference on Social Change, Baltimore, October 2006. Sponsor: Journal of Social Change. Faculty, “Essential Skills for Drafting LLC Agreements.” Bellevue, 2006, NBI, Eau Claire, Wisconsin. Presentation of Research: “Shifting Burdens in the Federal Tax System-Development of a New Study Paradigm.” Midwest Political Science Association Annual Conference. Chicago, April, 2006. Sponsor: Midwest Political Science Association, University of Indiana. Faculty, “Fully Utilizing the Advantages of Limited Liability Companies in Washington”. Seattle, 2006, NBI, Eau Claire, Wisconsin. Faculty, “Advanced LLC Issues.” Seattle, 2006, NBI, Eau Claire, Wisconsin. Faculty, “Essentials of Section 1031 Exchanges”. Seattle, 2005, NBI, Eau Claire, Wisconsin. Presentation of Research: “Social Science Methodologies in the Study of Tax Policy Development.” International Conference on Social Science Research. Orlando, December, 2005. Sponsor: Center for Policy & Practice, University of Indiana. Faculty, “LLC’s and LLP’s in Washington.”Seattle, 2005. NBI, Eau Claire, Wisconsin. Faculty, “Sophisticated 1031 Transactions in Washington”. Seattle, 2005, NBI, Eau Claire, Wisconsin. Faculty, “Taxing Issues” (CLE). Seattle, 2004. Sponsor: Washington State Bar Association. Faculty, “Contracting Animal Law” (CLE), Seattle, 2003. Sponsor: Washington State Bar Association. Faculty, “Education Conference 2002 – Setting Business Practices” (CLE/CEU), Seattle, 2002. Sponsor: Escrow Association of Washington. Obtained judgment against the creator of an EB-5 Regional Facility for violation of the Washington State Securities Act. On summary judgment, Mark Kimball and MDK Law were able to show that the creator of the investment scheme made material misrepresentations in the Private Placement Memorandum for the Project and that the investor’s reliance on those misrepresentations was reasonable. The total judgment amount exceeded $750,000.00. Successfully obtained a defense verdict in an LLC member dispute in which the plaintiffs sought contribution and indemnification from MDK Law’s clients for two failed liquor store ventures. The plaintiffs in this action sought approximately $300,000.00 in contribution and sought indemnification for a potential liability of over $600,000.00. Farnoosh Faryabi served as second chair in this matter. Made new Washington case law by successfully arguing that a party's claim for negligence and breach of contract for the improper preparation of tax returns accrues when the taxing authority completes its administrative review of an assessment, not when the assessment is first issued. Murphey v. Charles D. Grass, CPA & Assocs., PS, 164 Wn. App. 584, 267 P.3d 376 (2011). This case was of critical relevance to Mark's work as a specialized tax attorney. Successfully defended a 25,000-employee international technology company from unpaid commissions claims. Obtained a dismissal of an assessment by Washington’s Department of Revenue against a Kirkland based national moving company for its purported failure to collect retail sales tax on packing equipment. After Mark & MDK Law submitted the brief to the Board of Tax Appeals, the Department stipulated to a dismissal of the assessment. Mark and MDK Law also successfully litigated reversal of a $160,000.00 DOR assessment before the Board of Tax Appeals for an online hookah and shisha tobacco wholesaler for purported unpaid Other Tobacco Products (“OTP”) tax. Mark and MDK Law also successfully prosecuted a derivative action against the majority member of an LLC for various self-dealings and mismanagement of LLC funds. In the judgment the trial court found that the majority member of the LLC was not entitled to any of the assets of the LLC upon judicial dissolution because it was proven at trial that his capital account was negative.